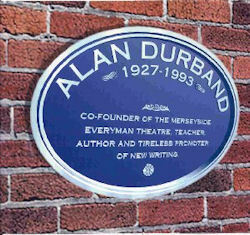 The Alan Durband Plaque at the Everyman. Photo provided by James Eedle. 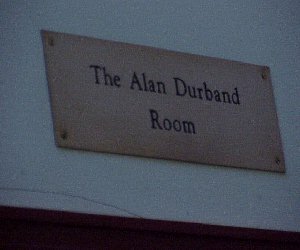 Alan Durband came up to read English when the international reputation of Downing English under F. R. Leavis was reaching its zenith. He became a brilliant schoolmaster, creatively and energetically extending the enthusiasm and love for literature which, like so many others, he had gained under Dr Leavis's tutelage. He returned to his old school, the Liverpool Institute, where his exciting and inventive teaching methods went hand in hand with the firm belief in the necessity for accuracy in syntax and expression. 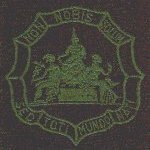 In part, that caused him to produce his first text-books, the 'English Workshop' series, and then, for older children, 'Contemporary English', in which he presented lively and interesting extracts from recent writing of all types. Alan's enthusiasm for drama showed in his excellent school play productions, first when he moved to a lectureship at C. F. Mott Training College in Liverpool and helped aspiring teachers to interest their classes. Again, almost single-handedly he led a campaign to rescue the Victorian 'New Shakespeare' theatre from sixties municipal vandalism. 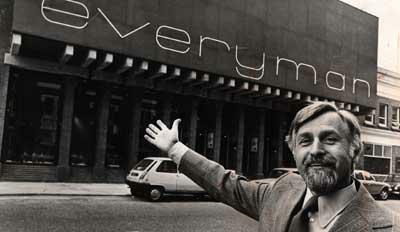 Later he was responsible for raising much of the finance to improve a successful new theatre, the Everyman. These achievements affected British theatre markedly, as did his play series 'New Directions' which published one-act plays, often by new writers, many of whom went on to be household names, and appealed to a great number of schools and colleges; so too did his 'Playbill' series. His most recent publications were probably the most controversial. 'Shakespeare Made Easy' was designed to help teachers by printing most of the major plays with text and paraphrase in parallel. At the time of his death he was completing a new series: 'Introducing Shakespeare'. This has yet to find a publisher. Alan played a magnificent part in the cultural life of his native Liverpool, from broadcasting to journalism. 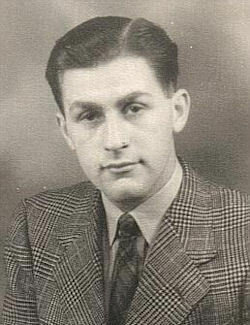 He served in the mines during his National Service, was active in CND and was a long-serving justice of the Peace. No day was fulfilled unless he had achieved something, and it would invariably be done to help others. His generosity, sweet nature and sense of humour made him a multitude of friends. His former pupils owed him an invaluable debt and in many cases were helped by his teaching to fame and fortune. An agnostic, he was the epitome of a humanist gentleman. A continuing blessing was his marriage, in Downing days, to Audrey, and their children. Spiritually and physically, in his heroically quiet struggle against asthma and heart trouble, he could not have done without her. I speak for countless of his former pupils, colleagues and friends in stating that he changed our lives and gave delight aplenty.